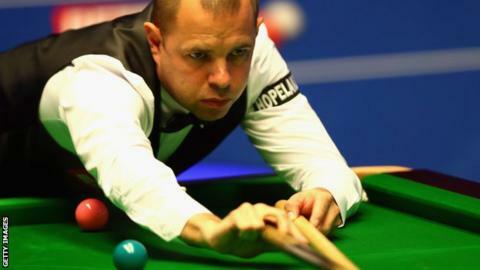 Barry Hawkins was at his familiar World Championship best to go 11-5 up against tournament favourite Ding Junhui in a suprisingly one-sided quarter-final. China’s world number three Ding, 31, was the bookmakers’ tip to secure a first world title following early exits for reigning champion Mark Selby and world number two Ronnie O’Sullivan – as well as his stunning 13-4 thrashing of Anthony McGill in round two. A confidence-building 102 – the first century in the match – got Ding back on track and he backed it up with a frame-winning 52. 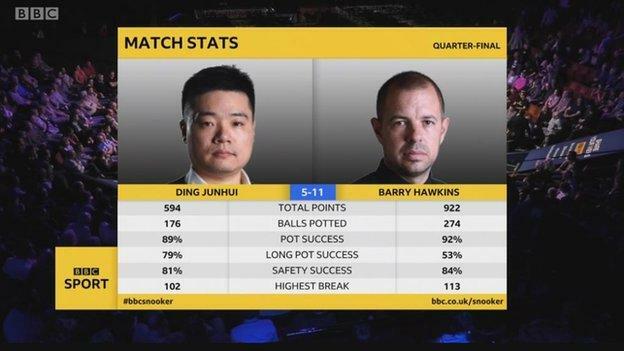 But Hawkins, 39, remained consistently impressive, taking his match tally of 50-plus breaks to eight and rounding off a majestic performance with a brilliant 113 clearance for a commanding lead heading into Wednesday’s third and final session from 10:00 BST. 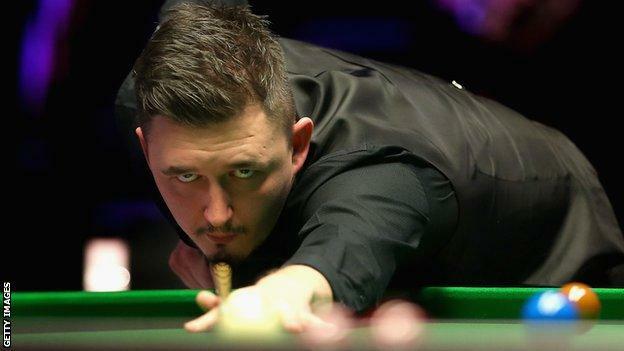 In a repeat of January’s Masters final, England’s Kyren Wilson put on a ruthless attacking performance to lead Mark Allen 11-5 after their second session. World number 16 Allen had taken the final frame of a high-quality morning’s play to tie the scores at 4-4. But his form dipped and Wilson’s brave shot selection paid dividends, unlike in the Masters final where his radar failed him and Allen’s composure saw him win a first ‘Triple Crown’ event. 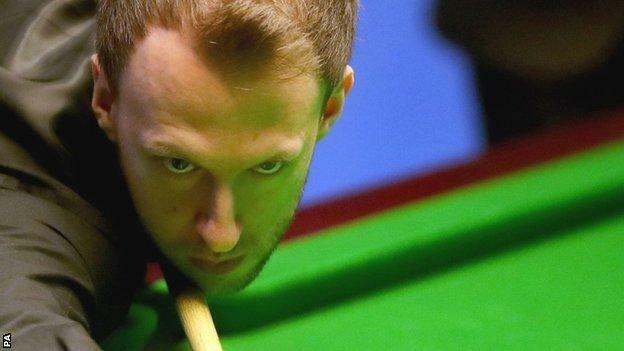 World number four Judd Trump showed his potting power and battling qualities to take a 5-3 lead over Scotland’s John Higgins in the first session of their World Championship quarter-final. Four-times winner Higgins, 42, had an extra day off after his 13-1 thrashing of Trump’s good friend Jack Lisowski in round two. Two-time runner-up Ali Carter, who won a feisty round-two match with O’Sullivan, is level with two-time champion Mark Williams at 4-4.